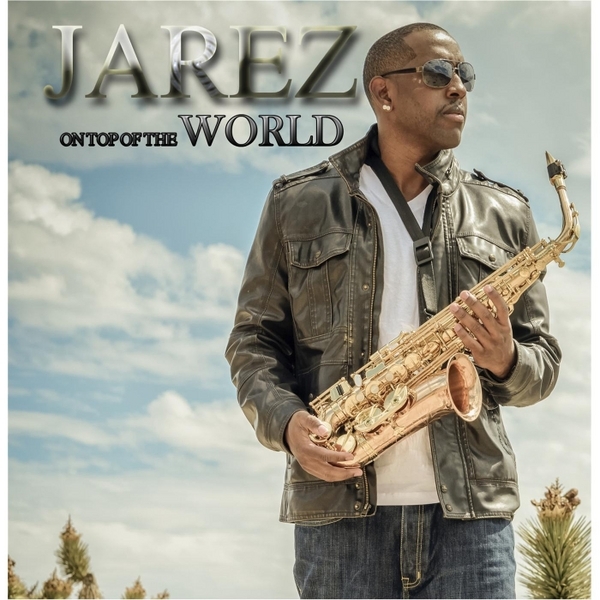 Following the sizzling release of “On Top of the World,” R&B saxophonist Jarel Posey (AKA “Jarez”) will be touring in the States and overseas with hip hop music rapper Coolio. Jarez’s tour dates are not the normal jazz venues and haunts you would expect either. 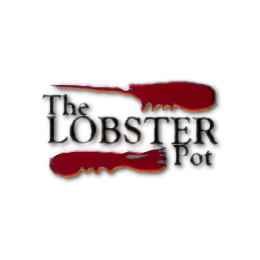 He tours regularly on the hip hop scene, incorporating the smooth sounds of jazz into cutting edge beats. Jarez is perhaps one of the few jazz artists able to successfully blend the two diverse musical genres. In fact, for several years, Jarez toured with Coolio around the world, dazzling audiences unfamiliar with jazz with his playing skills and showmanship. Just as his touring schedule challenges the public’s perception of jazz, “On Top of the World” marks a strategic release for this entrepreneurial artist. While the music itself appeals to a broad audience base, Jarez desires to unite the younger generation with jazz. By adding a splash of urban groove with luxurious melodies, Jarez paints a musical tapestry that is culturally rich and brazenly accessible. It is music that inspires change within the contemporary jazz landscape. 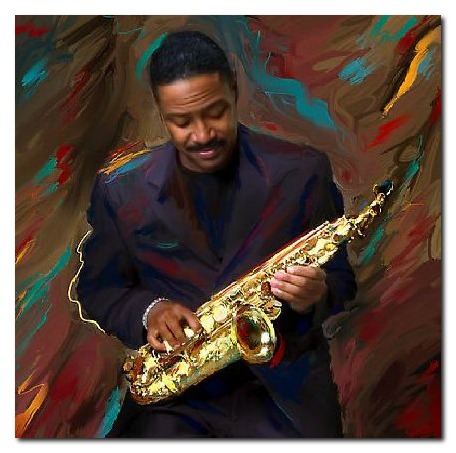 The saxophonist’s commitment to America’s future includes having served as a spokesperson for Environmental Justice and Climate Change’s (EJCC) campaign, which served Historically Black Colleges and Universities (HBCU) in an educational initiative regarding global warming. This opportunity also lent him a chance to develop his fan base even further with selections from one of his previous CD releases, ” SAXOHOLIC ,” providing the musical signature for the accompanying radio show, “Just Environment” which broadcasted weekly on from Atlanta’s Clark University’s WCLK 91.9, “The Jazz of the City,” and live online at www.wclk.com. His ability to expand his musical outreach to fans of all ages included multiple appearances on “Cooking with Coolio.” Jarez also assisted in the production of Coolio’s cookbook of the same name, along with ongoing management of various aspects of Coolio’s business operations. For information on Jarez and to view all available tour dates, please visit www.jarezmusic.com. 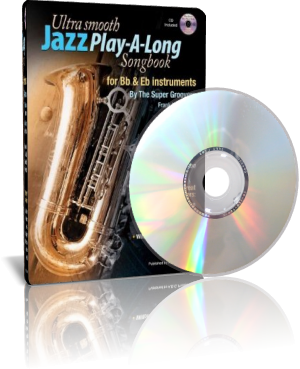 With the worldwide success of The Super Groovers previous music instructional book series Ultra Smooth Jazz Grooves for Bb & Eb Sax, Flute, Guitar and Keyboards containing 8 measure grooves in various smooth jazz styles, they decided to create a play-a-long book of full length songs from their two albums Supergroovin and Mainline Connection. They picked songs that would give the music student a variety of styles to choose from, ranging from the pop/jazz style of You Are The Only One In My Life , minor blues of To The T and A Cry For Peace , funky/blues of Super Groover , latin style of Groovin With The In Crowd and Villefranche Sur Mer , gospel style of To Our Loved Ones , reggae style of Right Track Wrong train To Jamaica , funky/jazz of Mainline Connection , Keeping The Past Alive and the bonus track Destinasian and lastly the funky jazz/swing feel of Spritual Seeker . The audio files that come with the book contains full rhythm backing tracks. You can buy this item at Amazon.com.